Listen up, because this may just be a life-changer! Here's my deal, I like stuff and I hate shopping. I love a good deal but I don't like to bargain hunt. Quite the conundrum. 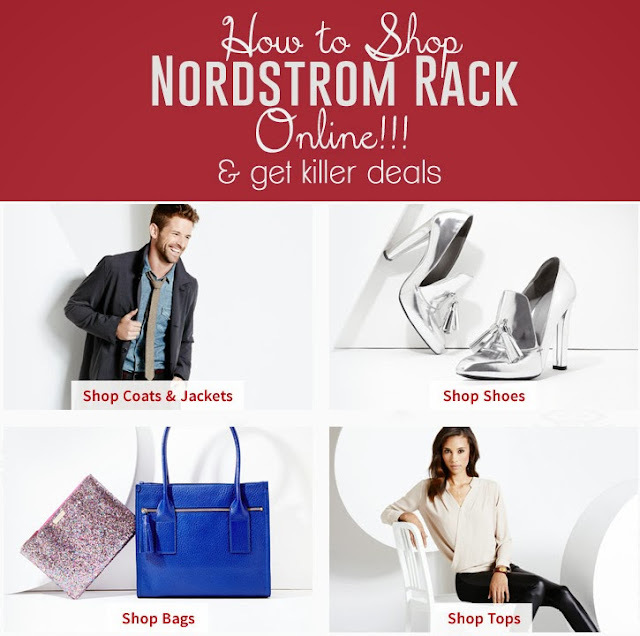 So you can imagine how happy I was when I happened to notice that you can now shop Nordstrom Rack online now! Oh and BTW, no one is paying me to say this... I'm just really excited and want to share. If you click on the links provided in this post, sign up, and end up buying something I get a $10 credit, just like everyone else, for telling my friends (that's you) about this awesomeness! I have been shopping on Haute Look for a few years now. I used to be religious about checking the deals almost daily. Just the other day, as I was looking for a birthday gift for my sister, I happened upon something new and wonderful. 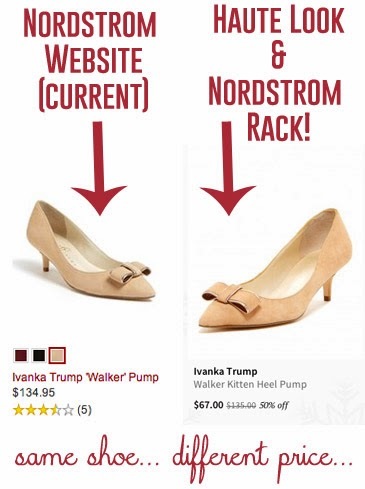 I learned that Haute Look has teamed up with Nordstrom Rack to bring you and me awesome deals all the time! I love that you can order online and easily return your Nordstrom Rack purchase to either a Nordstrom Rack store or by mail. Usually the Haute Look orders are non-returnable because they are flash sales. I also love that they have lots of cute stuff. I would show you what I ended up ordering for my sister, it was super cute, but it's all sold out now. But I loved that they sent her an email with a picture of the gift. She was super excited!